ROUEN, France — Lance Armstrong accused U.S Anti-Doping Agency chief executive Travis Tygart on Thursday of waging a “vendetta” against him following reports five former teammates have received reduced suspensions after admitting to doping in return for testifying against the seven-time Tour de France champion. The Dutch newspaper De Telegraaf reported that Armstrong’s former teammates have been given six-month bans that begin in late September. Citing “well-informed sources,” the paper identified them as Jonathan Vaughters, George Hincapie, Levi Leipheimer, David Zabriskie and Christian Vande Velde. Vaughters, currently a team director at Garmin-Sharp’s cycling team, said at the start of Thursday’s fifth stage that the report is “completely untrue.” Garmin-Sharp’s parent company, Slipstream, later supported Vaughters’ denial in a statement. “We can confirm that our Tour team is entirely focused on the Tour and media reports of suspensions are untrue,” the company said. “Any attempt to circumvent the proper procedures in order to bully or silence people who may or may not be witnesses cannot be tolerated,” the statement said. Hincapie, who rides for BMC, said he just wants to help Cadel Evans keep his Tour title. Hincapie said he hasn’t spoken to Armstrong recently. “We’ve not received any information from any authority about this issue at all,” he said. Bruyneel, who ran the US Postal team when Armstrong won his first six Tour titles, is now Radioshack Nissan manager. He decided to skip the Tour this year to avoid being a distraction for his team and the race. USA Cycling said last month about the time USADA filed charges against Armstrong that Leipheimer, Hincapie, Vande Velde and Zabriskie asked to be overlooked for the Olympic team for the London Games. Hincapie said this week that he didn’t want to go to the Olympics as he would be away from his family for most of July at the Tour. 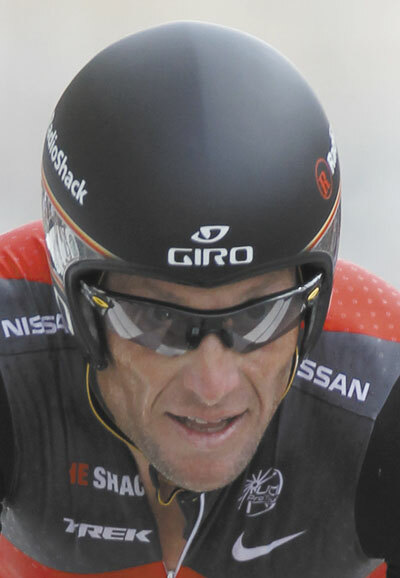 Leipheimer declined to say whether his decision to skip the Olympics is related to the USADA investigation. Associated Press writers Jamey Keaten and Greg Keller and AP Sports Writer Eddie Pells in Denver contributed to this report.